Post Offices in the United States will be closed on Christmas Day and on New Year’s Day. 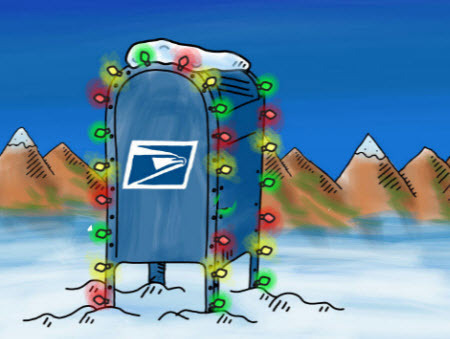 Some Post Offices may also have limited hours on Christmas Eve, Monday, December 24, 2018. All Post Offices will be open and regular mail delivery will resume after the holidays on December 26, 2018 and January 2, 2019. In addition, some Post Offices may have extended hours leading up to the holidays. You can find the announcement on the USPS website.